LOVEVOOK, the American brand, has known to produce high-grade Ladies handbags. LOVEVOOK's products are loved by people since its first product came out. 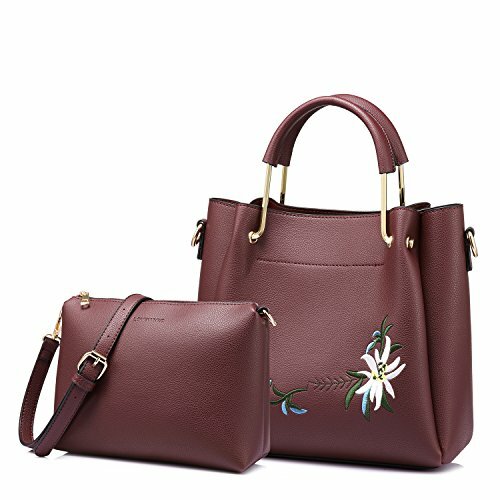 This two purses' style is Young&Fresh, the main element in the tote bag is the floral embroidery, embroidery artist is from ancient China, usually be used in the cheongsam and scarves, embroidery with flower, gives people the young noble fresh feeling, perfect suitable for ladies. If you are searching a purse for most dresses or want to try different style from normal one, this will be a good choice. 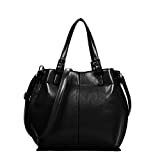 Item Specifications Brand: LOVEVOOK Gender:women Material: synthetic leather Measurement: Tote: 10.6"x9.6"x4.7"(WxHxD) Tote handle: 5.7"( H ) small bag:9.4"x7.5"x3.3"(WxHxD) Strap length range: 44.5" ~ 49.5" Weight: Tote:~2.31lb. Maintenance Tips 1.Please confirm the size according to our description instead of the product image. 2.The bag color may vary slightly from the online image due to monitor color settings.